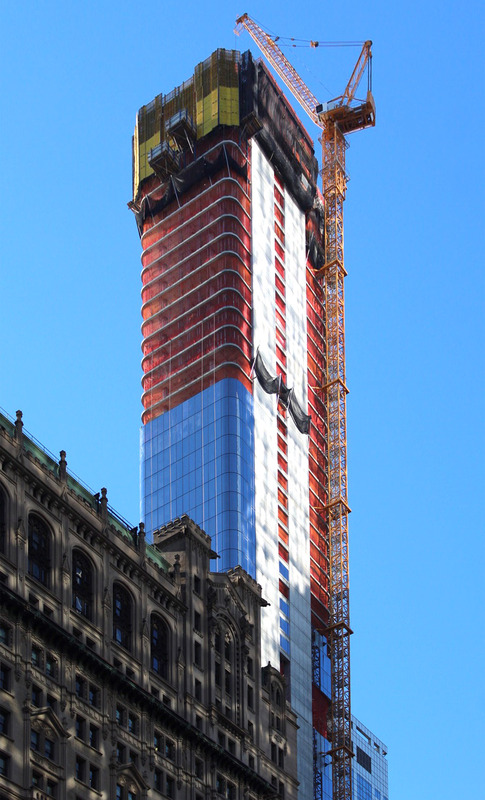 Above the Financial District, 125 Greenwich Street rises as a slender 88-story residential skyscraper. Designed by Rafael Vinoly and developed by Bizzi & Partners and Vector Group, the 912-foot tall glass and concrete structure has topped out. 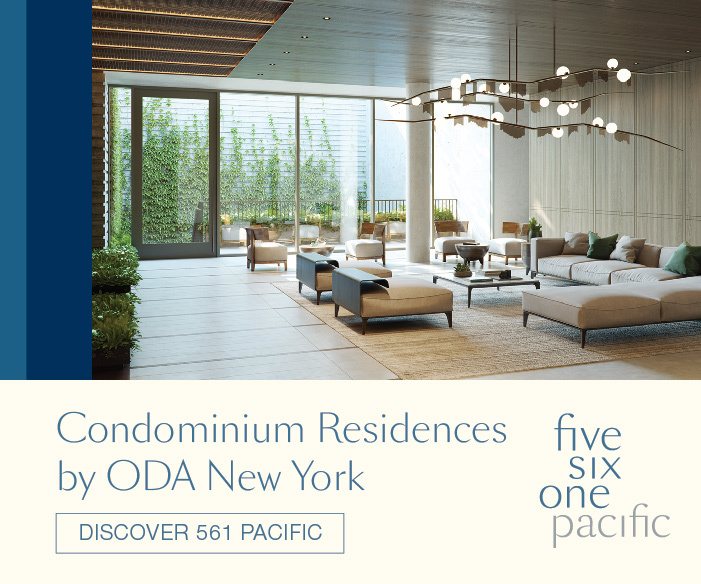 The 273 residential units are being marketed by Douglas Elliman, while the interiors are being designed by March & White. YIMBY recently got to go on a tour of the upcoming construction, capturing views from the very top. 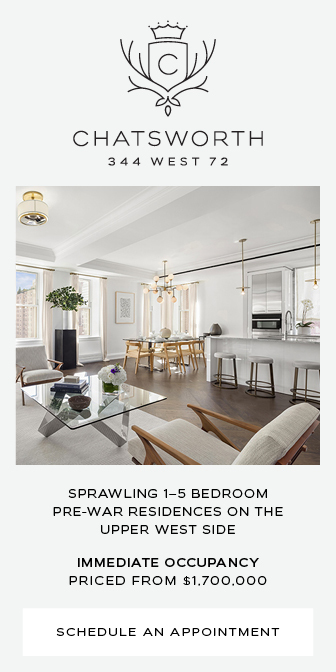 Located to the south of the New York Stock Exchange on a narrow rectangular strip of land along Broad Street, the Financial District’s first residential supertall will soon rise at 45 Broad Street. 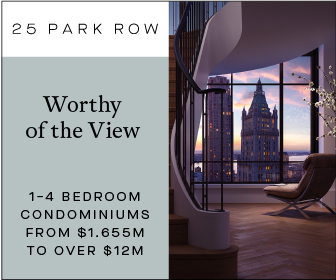 The tower will eventually soar 1,115 feet above the crowded streets of Lower Manhattan, and should make a very dramatic impact on the skyline in the coming years. 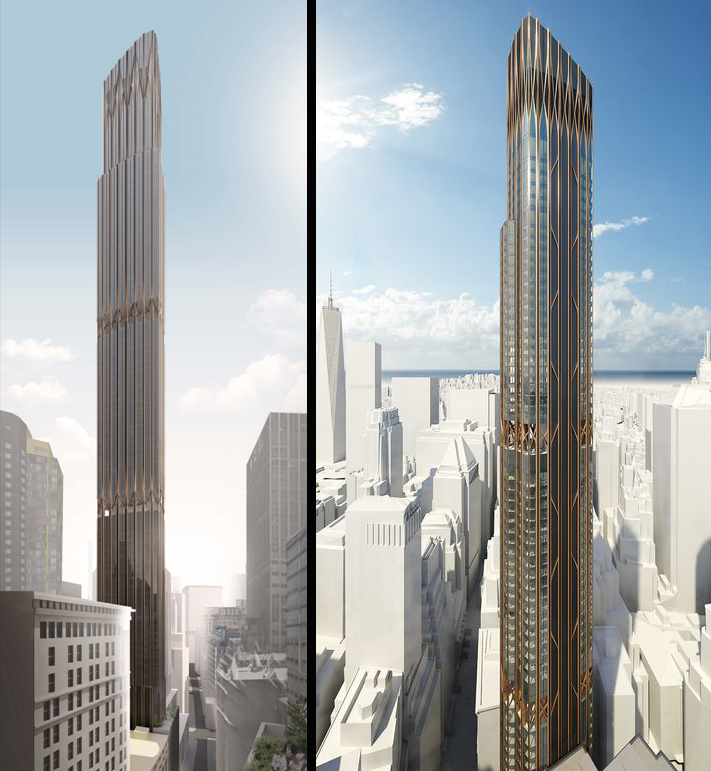 Clad with bronze-colored aluminum panels and an intricate mix of sleek vertical and curved lines, it is the 5th-tallest skyscraper currently under construction in New York City. 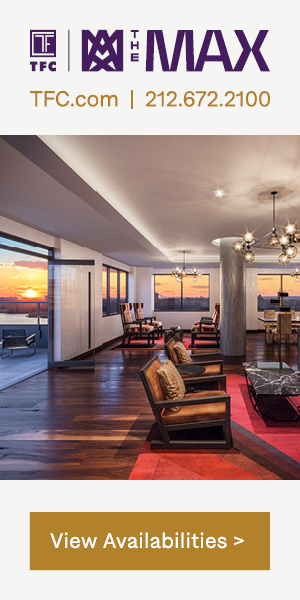 CetraRuddy is the architect, while the developers are Madison Equities and Pizzarotti LLC. 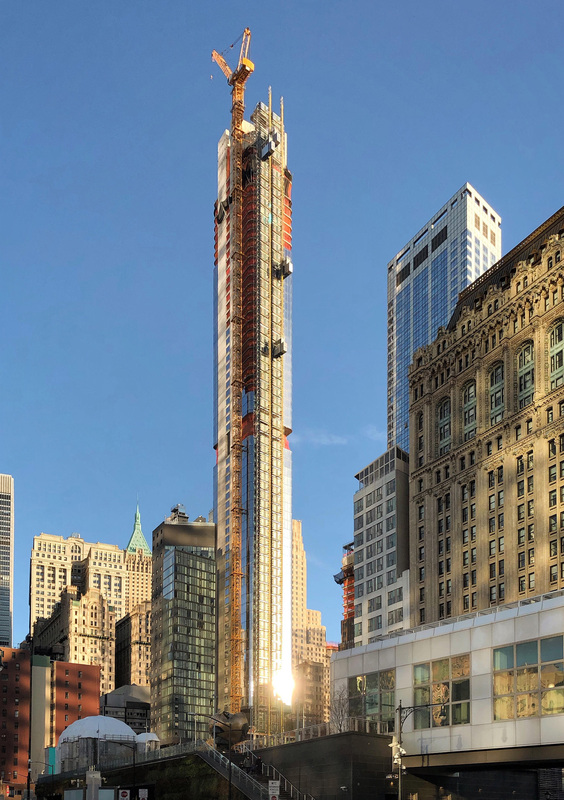 125 Greenwich Street shot up with great speed in 2018, and is the 16th-tallest skyscraper under construction in New York City. 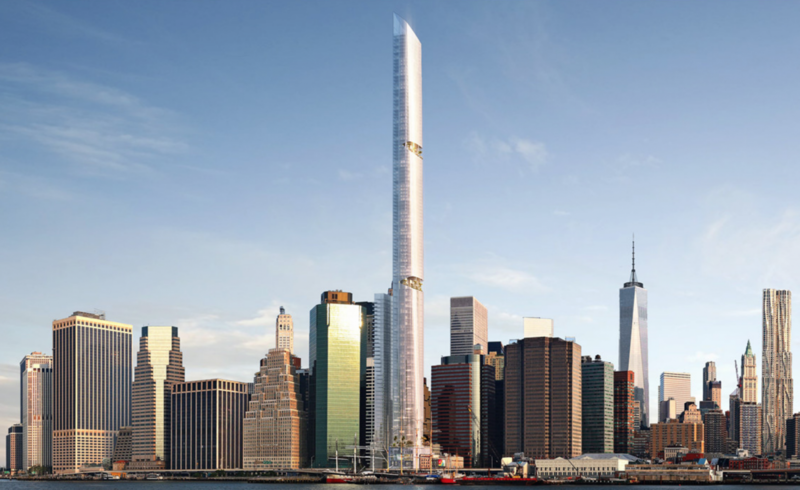 Now, it has only a few floors remaining before its 912-foot pinnacle is reached above the Financial District. 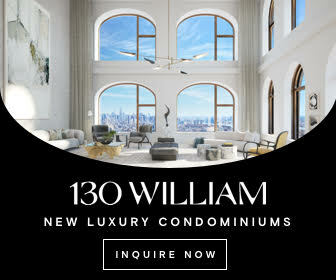 The 88-story tower is being designed by Rafael Vinoly and developed by Bizzi & Partners and Vector Group, while the marketing of the 273 residential units is being handled by Douglas Elliman. Interiors are being designed by March & White.